Cluster houses are a type of landed property where the owners share condo facilities. They may be townhouses, semi-detached or bungalows. They share a communal pool and may or may not have gym and tennis courts. Townhouses are equivalent to intermediate and corner terrace houses. The townhouses usually have two walls sharing with neighbours on either side. Semi-detached houses share a common wall while bungalows do not share walls. Some cluster houses are listed here. 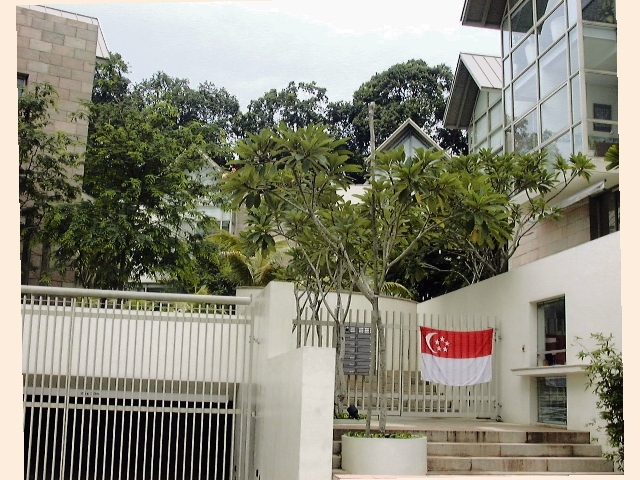 As they are in great demand, please e-mail judy@asiahomes.com or tel +65 9668-6468 for viewings. South Singapore, District 11. Ten bungalows sharing pool and sauna, underground car park and 24-hour security. For Rent. 4+1+basement 4,450 sq. ft $16,000. 4,800sq. ft built in $18,000. For sale, $6 million in 2003. Prices have gone up in 2011. South-West Singapore cluster semi-detached and townhouses, nearer to the German and Swiss schools in District 10. South Singapore. Near Sixth Avenue. 148-unit. Cluster town houses form the vast majority of the development completed in 2002. 3-storeys with basement. 3-5 bedrooms. 2,800 - 4,000 sq. ft built in area. 2 parking spaces. Washer, refrigerator, microwave, stove and beautiful landscaping. Facilities: Pool, gym, spa, sauna and steam bath. Resort ambience and near to international schools and very attractive to Caucasians who don't mind the small living/dining areas and many steps and stairs to climb. Northshore. Bungalows, nearer to Ponggol & sea. Gryphon Terrace 3-storey townhouses. 2300 sq.ft. 3+1. Pool/security/Near Science Park. Summer Gardens. 3-storey townhouses opposite Spore Expo. 5-bedrooms. 500 m walk to Tanah Merah subway. The Springfield. 110 townhouses. 2400 sq.ft. 4+1. Own garden. Near Tanah Merah subway. 99 years leasehold. Walton Road cluster bungalows 6+1 5,000 sq. ft built in, 20,000 sq. ft land. 4 units share a communal pool & barbecue area. Cul de sac. Gated community. Huge bungalows with terrace and small garden. Access card. Bournemouth 8. Eight bungalows, each with own pool. Gated community. 3-min drive to Suntec City. East Singapore. 1. Binjai Crest 5+1 3371 sq ft $9,500. Available May 2011. 2. D'Manor 4+1+1. Near subway. 3. 8 Wilkinson Cluster Semi-detached houses. 3-storeys+basement 4+1. Patio + balcony. Other units available. For latest updates, please contact us. Cluster houses are a good alternative to living in high rise condos as they are houses with condo facilities like the communal pools and sometimes gym and tennis courts. The newer cluster houses have 4 or 5 bedrooms but they are not that big unless the developer knows how to maximise the floor layout. The garden is usually very small. Cluster houses are the next best alternative to a condo for Caucasian expats who are so used to living in landed properties (not high rise apartments). 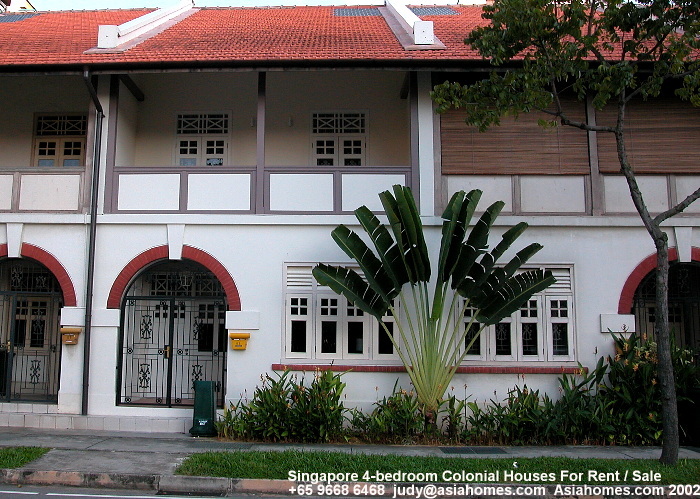 In 2011, there are cluster houses which are townhouses, semi-detached and bungalows. Rentals vary from $9,000 for the townhouses to $20,000 for the bungalows located in prime expatriate-favoured enclaves.